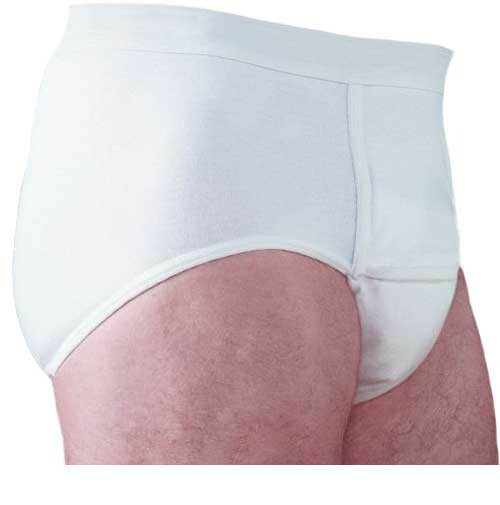 HealthDri Men's Briefs are a single-piece garment with the feel, wear and care of regular underwear. The patented moisture management control panel pulls moisture away from the body and protects outer clothing. Men's briefs feature a fully functional fly. A money-saving and environmentally sound alternative to disposables. Washable over 300 times. Holds 2.6 ounces of liquid. Shell is 100% cotton, inner fabric is cotton/polyester/nylon.